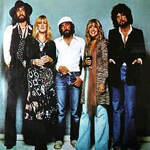 Learn how to play Fleetwood Mac – Big Love (The Dance version) note-for-note on guitar. Difficulty level: Advanced. The fingerpicking is highly intricate and very fast. The thumb maintains a steady beat but not in traditional Travis picking style. Rather it maintains a steady pulse on the bass note of each chord. The lesson is broken into 5 separate parts representing each section of the song. The complete file contains 5 lesson videos, 5 performance play thru videos, full tabs, chords and lyrics. You’ll receive a link to download the lesson which will download as a zip file of 261 Mb containing all the lesson content.